During the last 17 years, MITSA has been present in Frankfurt Heimtextil in Germany, which is the most important international fair for hometextiles. We also attended the 2017 edition, with some busy days for our commercial and R&D teams. 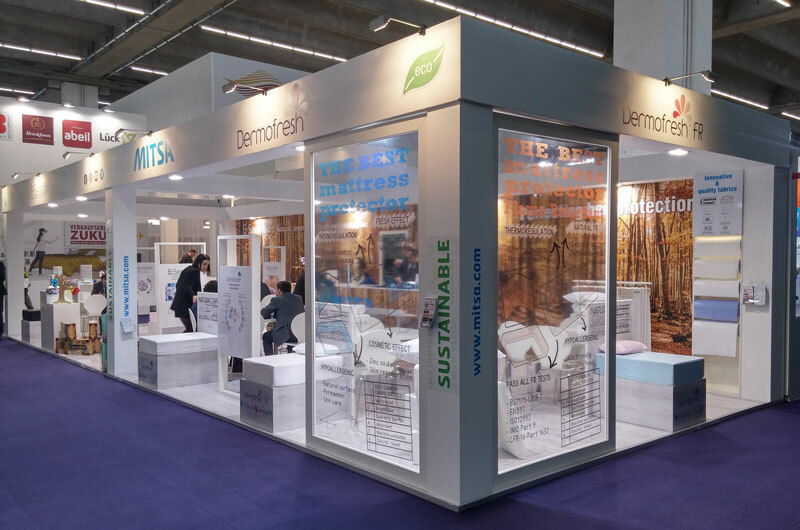 We exhibited all our range of textiles for bed protection, presenting our newest developments with higher confort and sustainability features. Heimtextil 2017 edition had over 2.800 exhibitors distributed in 11 halls. The fair received over 70.000 visitors from 195 different countries. During Heimtextil we had the opportunity to meet many of our clients and suppliers, as well as starting collaboration with many new contacts. Heimtextil 2017 has been a very positive event for us. Now we need to work hard to prepare another successful Heimtextil 2018!